This sunday, May 6th, 342 high quality items will be presented by the Monte Carlo Auction House, during two exciting sales. Whether your passion lies in art or in history, HVMC’s collection won’t disappoint. 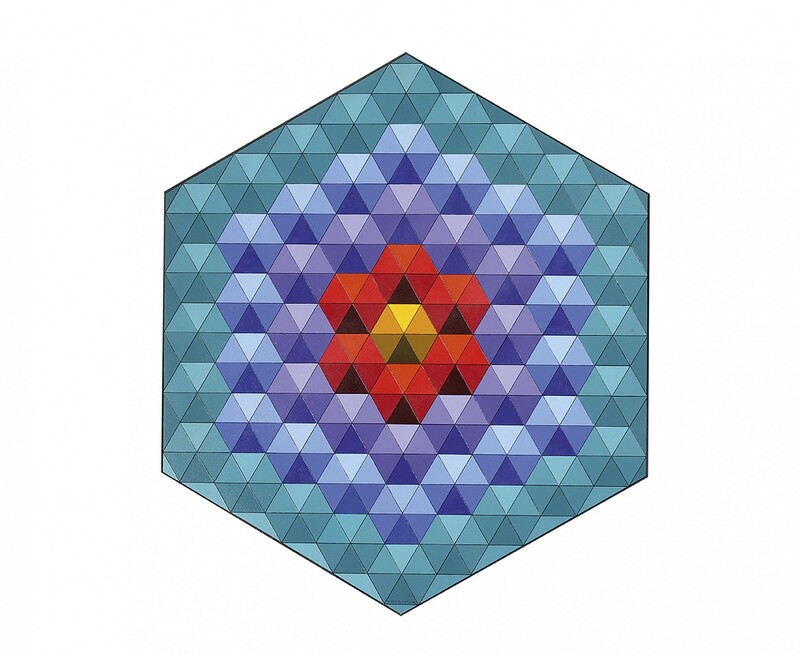 The pictorial work of Victor Vasarely (1906-1997) features clear lines, bright colors and geometrical shapes - fundamental elements of the universe of geometric abstraction. During the 1960’s he became very interested in kinetic art; art that contains movement perceivable by the viewer or art that depends on motion for its effect. Vasarely’s 2833 “Bergue-33”, acrylic on wood, demonstrates the artist’s ability to use color to create the final perception of the work. HVMC estimates the work between 30 000 to 50 000 euros. Another highlight of the sale is a work by Günther Uecker (b. 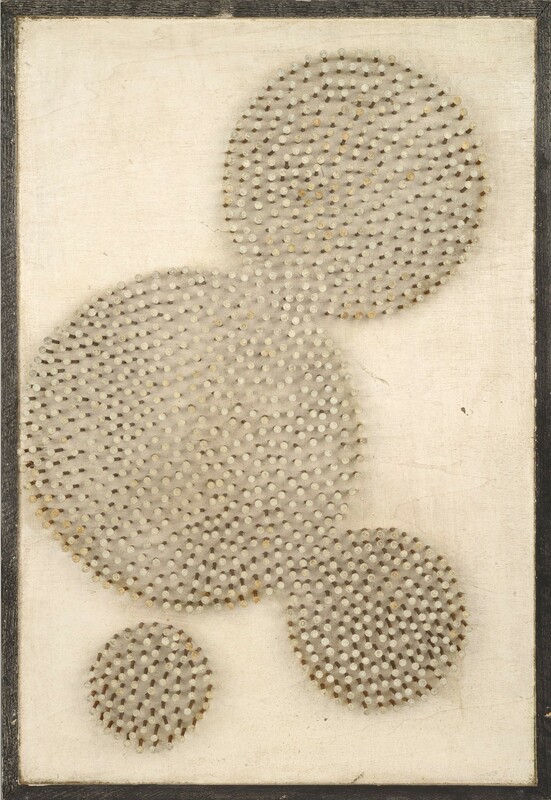 1930), a German artist known for his relief works of nails arranged to create a sculptural painting. In 1959 he met John Cage, who became a major influence on his work. In 1961 he joined Heinz Mack and Otto Piene creating the ZERO group. The work presented at the HVMC auction is an impressive composition of painted white nails on panel estimated between 80 000 and 100 000 euros. 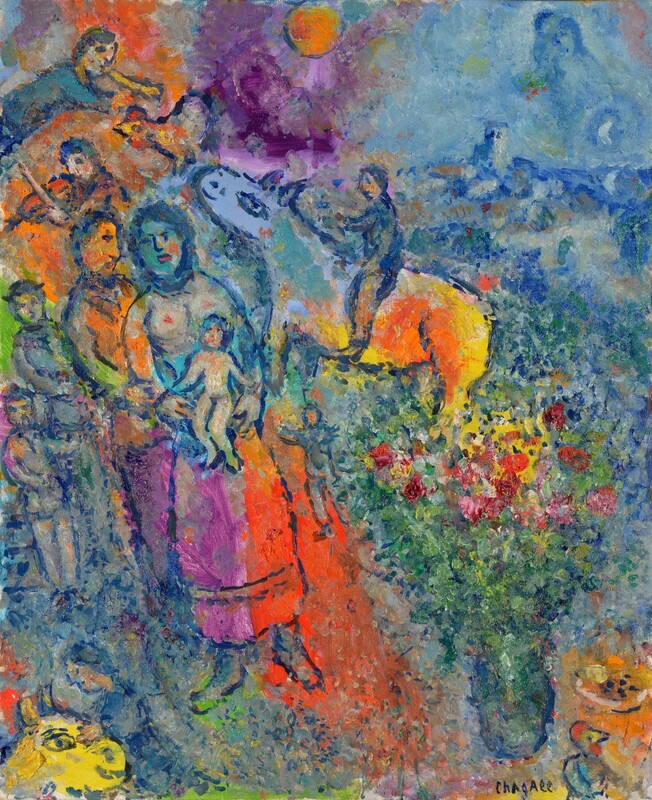 One very exciting item on HVMC’s auction is the work La Famille by Marc Chagall (1887-1985). Created between 1978-1979 this treasure has an estimated realised price at 1 800 000 - 2 000 000 euros. Chagall’s art evolves during the years, always distinguishing himself from his contemporaries in the creation of his very own pictorial universe. As demonstrated in La Famille, bright colors, and deconstructed shapes and figures are key elements for him. His work was always filled with poetry and mystery. Moving on to sculpture, HVMC offers two works by Georges-Lucien Guyot (1885-1973), Oran-Outan and Panthère s’étirant created during the 1930’s. 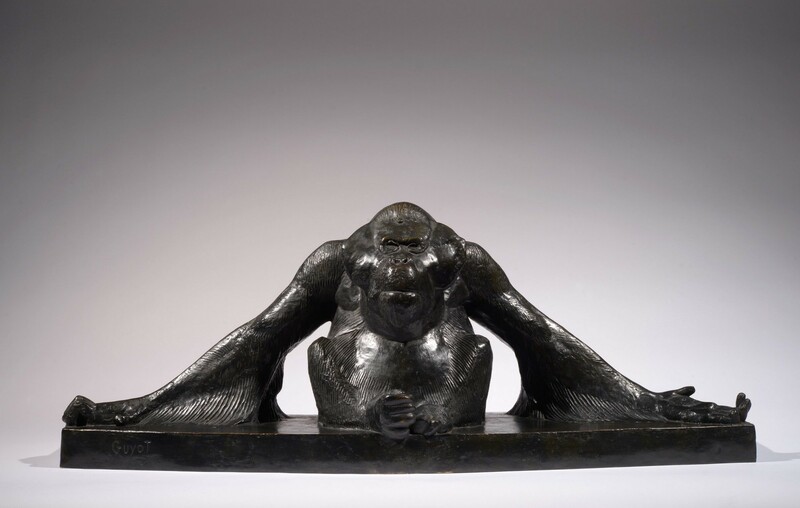 The bronze sculptures shows Guyot’s personal interpretation of the animal world - giving his creatures a human and personal expression. 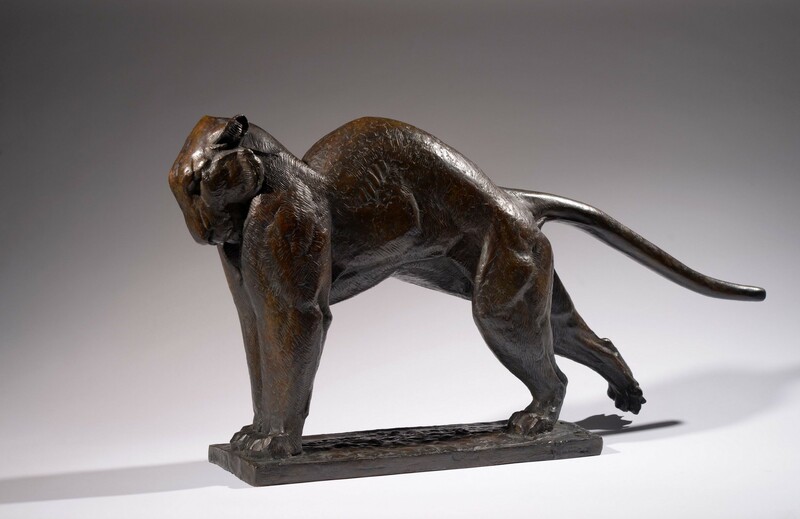 Oran-Outan has an estimate of 40 000 euros, while the panther’s estimate is 30 000 euros. You will also find world-renowned artists such as Warhol, Matisse and Kline represented at the HVMC auction in May. More information on the sale and exhibition can be found here! The next auction is Archeology & Islamic Art, with items from the collection of Consul Louis-Auguste Dozon and the private collection of ‘Mr and Mrs P’. Masterpieces of Archaic Greece, Etrurian art, and statues from the Roman Empire are just some of the many wonders available at HVMC. 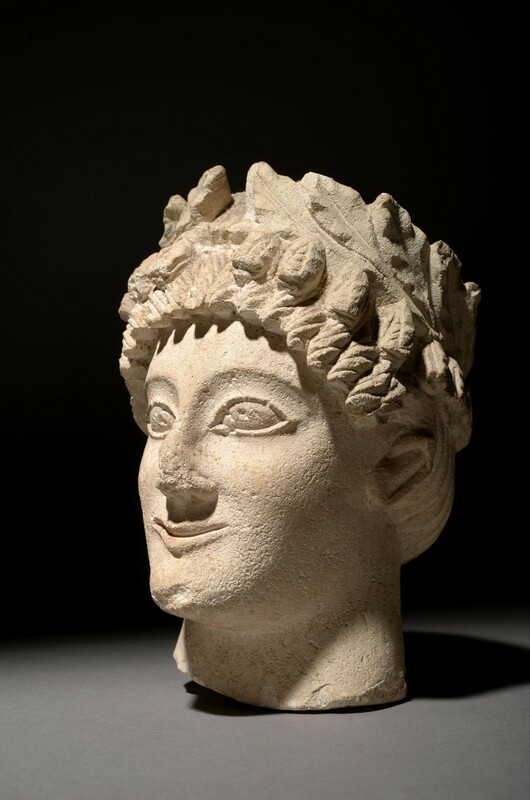 An amazing Kouros head that dates back to the beginning of the 5th century BC is one of the many highlights of the auction. Discovered by Dozon himself during excavations between 1879 and 1881, the matt white limestone head bears similarities to a laurel wreath, reminiscent of the ones the kouroi found in Cyprus wear. The daughter of Dozon had it submitted to the Louvre in 1957 and André Parrot, the french archaeologist, believed it to belong to a body already exposed in the great Parisian museum. As for the private Swiss collection of Mr. and Mrs. P, the beautiful Etruscan gold pectoral medallion caught our special attention. 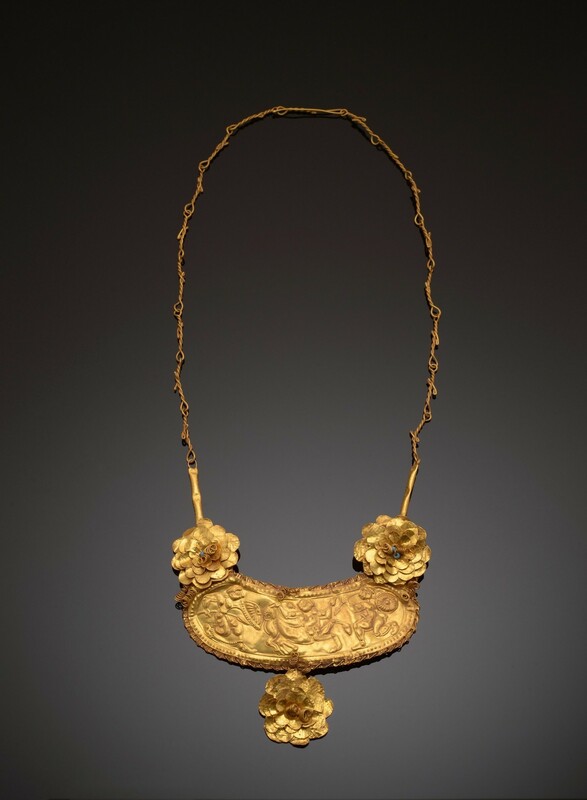 The medallion consists of gold plates, the center one depicting a centaur capture scene whilst adorning flowers in hammered gold surrounds the plate. Made around 490 BC in Greece, this Pelike with an estimate between 30 000 and 50 000 euros is another impressive addition to the Archeology & Islamic Art sale. With its typical broadened body and wide mouth, this piece is decorated with red figures painted on both sides, usually attributed to the Eucharides painter - an ancient Greek artist that painted but never sign his work. 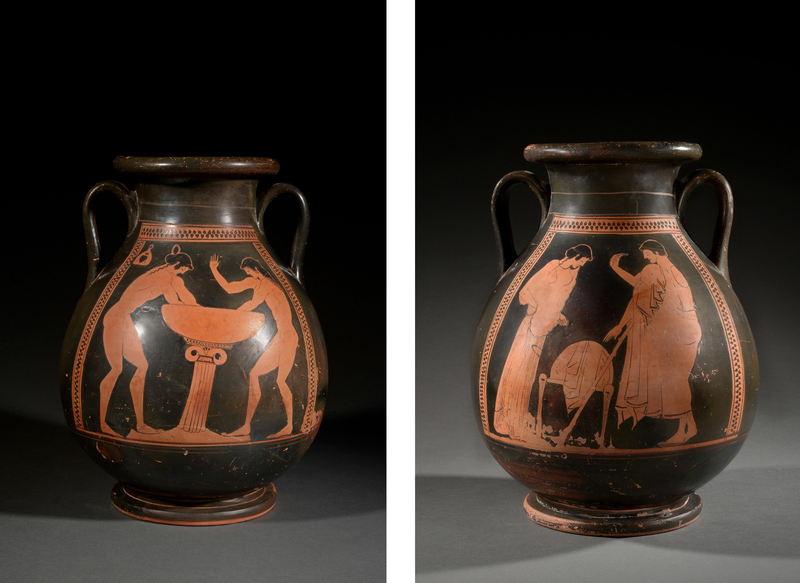 The composition of the motif, the figures and the position of the bodies are characteristic for the period 500-480 BC. This and much, much more will be available at May 6th at HVMC. More information on the sale and the exhibition here!